Kirkey's Full Containment Road Race Seat has been specially designed with the Road Race market in mind. 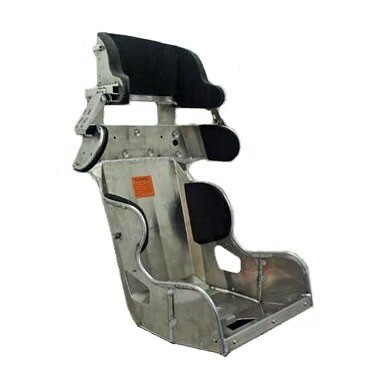 Built from TIG welded 5052 Aluminum, the Road Race Containment seat features reinforced rib and shoulder restraints, a vertically adjustable head restraint, and a contoured bottom for extra thigh support and interior clearance. The design optimizes peripheral vision and comfort when combined with a head and neck restraint. Note: Seat Cover not included. Seat size ordered is measured at the hips. Seat is 1.5" wider at the front/top of the thighs then the hip size order. Measurements do not include seat cover.